Running over 48 continuous hours at 4A Centre for Contemporary Asian Art, 48HR Incident was a program of performance art and live actions initiated or performed by artists from Australia, Asia and the Pacific. Challenging conceptual and social frameworks that surround the position of the individual in relation to the group, 48HR Incident presented a series of works ranging from artistic interventions through to longer durational performances. Participating artists drew upon contested historical narratives, political provocations and social situations to conceive and present works specifically for the context of 4A, taking into account dynamics of space, geography and social relations in and outside of the gallery. 48HR Incident considered the impact of these actions on the decisions that individuals and groups make, avoid or otherwise oppose in the daily act of living. Commissioned for 48HR Incident, A Novel Merchant was a performative exchange that operated through the communicative context of the gallery: introductory signage, exhibition collateral and email signup sheets were disrupted by text-based provocations that contemplated the ways in which value is constructed in performative works and gestures. An exchange was enacted between artist and audience. Upon entry visitors were greeted at reception not by an invigilator or staff member, but by the artist surrounded by a mound of young coconuts. 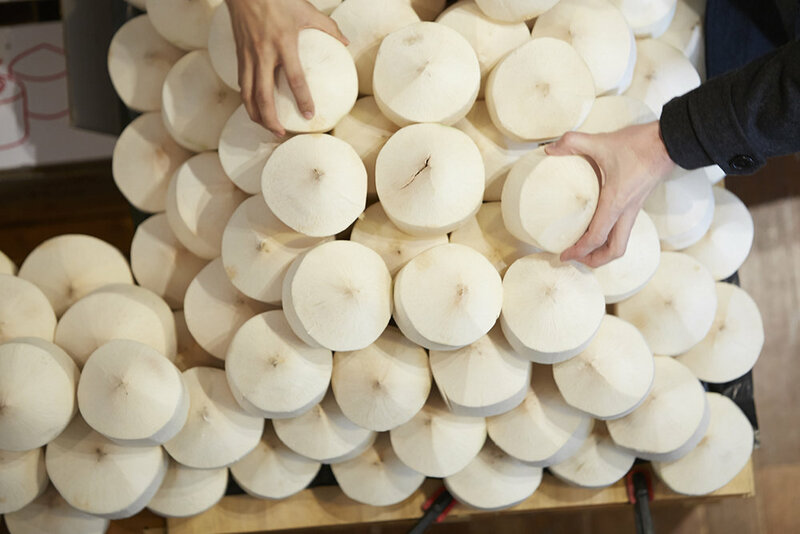 For the price of their email, visitors were given a free young coconut drink — a symbol across Asia and the Pacific of migration and distribution — and the gallery's database, its communicative network, was widened. The gesture was charged with the potential to build and restore value in what is today a quotidian exchange of information: the disclosing of a location, real or virtual. 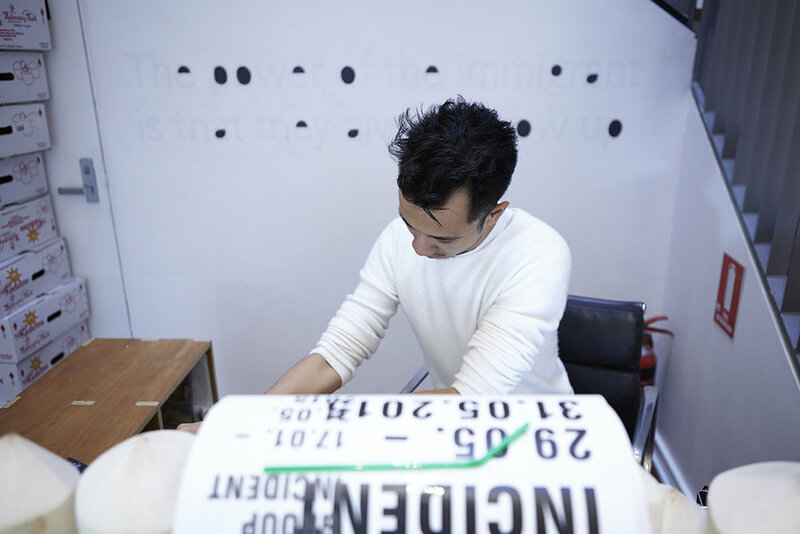 A Novel Merchant (performance documentation), 2015, performed as part of 48 HR Incident, 4A Centre for Contemporary Asian Art. Photo: Zan Wimberley. Copyright JD Reforma.